If you were injured on someone else’s property it may seem like a cut and dry case to you: The property owner acted in a negligent way and that negligence led to your injury. The reality is that California laws make it somewhat more complicated than that to prove the property owner was negligent. 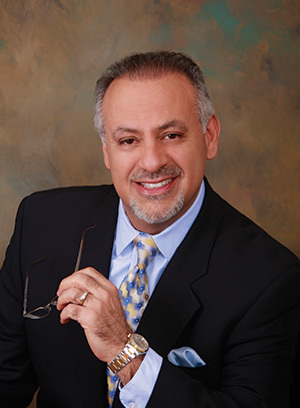 The good news is that Law Offices of Fernando D. Vargas has decades of experience proving cases just like yours. That the danger conditions were caused by the property owner. The property owner either didn’t remove or repair the conditions that led to the accident or they didn’t warn the victim about the dangerous condition, assuming the warning could have made a difference in making the conditions safe. The property owner should’ve known about the conditions. This typically requires proving that a reasonable person would have discovered the dangerous conditions. What specifically caused the danger conditions. How long it had been between the last time the property owner checked the property and when the injury occurred. How long the dangerous conditions had existed prior to the victim being injured. What proof the property owner has that they regularly and thoroughly inspected their property to ensure it didn’t have unsafe issues or defects. Whether the property owner had any type of procedure set up to inspect their property to reveal unsafe conditions. You want photos of the conditions of the property as soon after the injury as possible. In some cases, property owners will immediately repair the dangerous conditions when an accident has occurred, which makes it more difficult to prove they existed in the first place. When you work with Law Offices of Fernando D. Vargas we will work to get the photo evidence we need to litigate your case. However, if you’re able to take photos or videos after the accident, please do so. The sooner you contact Law Offices of Fernando D. Vargas the sooner we can get to work for you. As time goes on, key evidence can be lost. If it’s been months since the accident, you can call us at 877-982-0707 to set up your consultation but we always prefer you call as soon as possible. We will work diligently to ensure we can show the courts that the property owner was negligent in your accident.